1. Being able to see all the samples and choices in one place. 2. Having them supply an installer to install the laminate flooring. 3. Feeling confident that if any problems arise they are close by. 4. Most flooring stores will let you pay a portion of the bill first and you pay the balance when the job is complete and you are satisfied. You will most likely pay a higher price for the laminate flooring. You will pay the sales tax. Most often you will not know the quality of workmanship of the installer they will send to your home. You can get a better quality of laminate flooring for the price. In most cases you will not pay a sales tax. You do not get to see all the samples at once. It may not be too easy to talk to a real person sometimes. 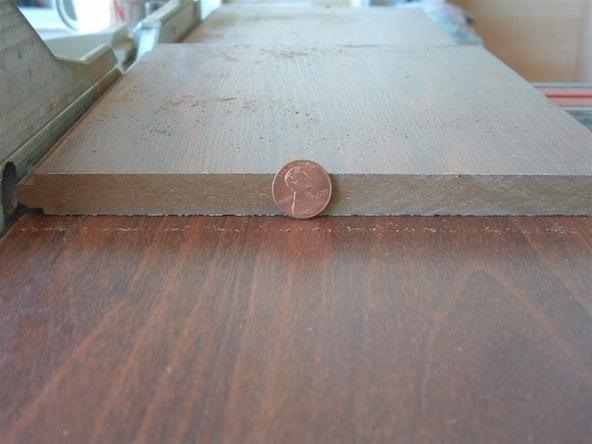 In this photo I used a penny to illustrate the thickness of this laminate flooring. 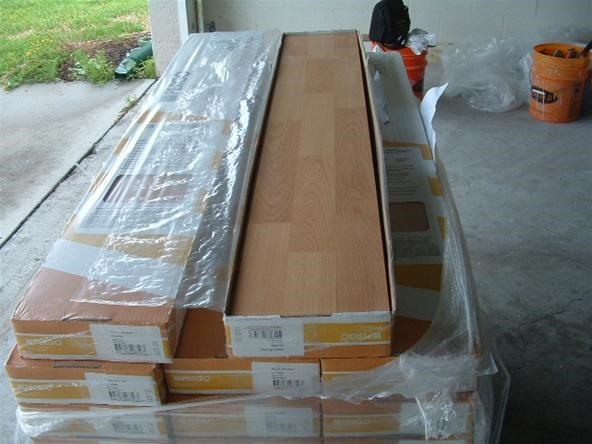 This laminate flooring was purchased online at 2.52 per square foot. The thickness is 14 mm with a very durable surface of AC 5 rating ( Ac rating system is based on a 1 to 5 scale, 5 being the strongest). The 2.52 per square foot included the freight, which was delivered to the home. This next photo shows what was purchased at a local big box store. This product cost 2.48 per square foot. The thickness is 8 mm and I couldn't find an AC rating on it. The planks did not fit together as good as the other product above. If your serious about finding the best deal on laminate flooring do the research, take some time and make sure you don't make the mistake of paying too much or buying a sub standard product. If your into installing it yourself learn as much as you can about what it takes to install it yourself. Once I buy my flooring what should I expect to pay for labor? It depends on where you live for one thing. Some cities have a higher cost of living, while others are less expensive to live in. It can range from 3 to 4 dollars a foot to as little as 1.00 a square foot for labor. You should do a little research to find a competitive rate for your area. Don't go with the cheapest price or you could regret it. A lot of installers will tell you they are professional laminate installers when in fact they are not. Ask for references and check them out. In the south where I'm located labor to install laminate flooring is about 1.50 to 2.00 a square foot. Shopping online seems to be the better deal. Nice and informative blog! But what would be the preferable way for buying? It takes a lot of time and research for finding the most competitive flooring prices . I definitely know from experience. I recently changed the carpets in my house to newer ones.